Reflective Teaching is a habit of mind that requires consciously thinking about how teaching practices impact students’ learning. According to Kennedy (1989) reflective teaching promotes a thoughtful, contextualized view of teaching from which teachers learn how to make choices about educational goals and practices. Just as we hope our students will show growth over time, as teachers we can show growth in our practice if we take the time to reflect. Professional growth can occur if we first look back on our practice to draw conclusions about events, then change our behaviors as a result of research, knowledge and reflection. Teachers can become empowered decision makers, engaging in systematic reflection of their work by thinking, writing, and talking about their teaching; observing the acts of their own and others teaching and by gauging the impact of their teaching on their students’ learning (Farrell, 2004). Here are 7 strategies to help you reflect on your teaching practice. 1. Stay committed to your personal practice: Growing in your professional practice means staying committed to learning as a student. The field of education is constantly changing and as it changes so must we in our practice. Attending professional development series and events will help you stay current and learn what works best in your field. 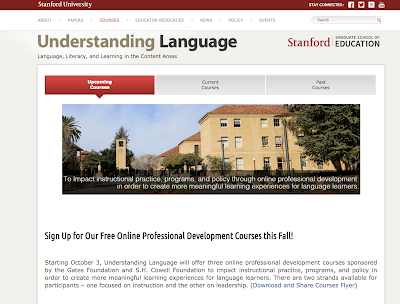 You can attend online professional development for free from Stanford. After attending a professional development event, teachers should take the time to think about ways they can incorporate new strategies into their practice. Take time to share new practices with your colleagues. 2. Connect to colleagues: There is no doubt that teaching can be an isolating profession and unless we have an opportunity to engage with our colleagues then there will be little time for dialogue about our practice. Rather than sitting in your classroom, meet with a colleague or have lunch in the teachers’ lounge. Connecting with colleagues can also take place when you get involved with school wide councils or professional development committees. Teachers stay connected to colleagues through grade level PLC’s. Teachers meet weekly to plan lessons or common assessment so that reflection is a collaborative event in which teachers share strengths and weaknesses as a team. No time to meet face to face, use Google Tools and Google sites to share resources, join a Facebook Group to connect with other teachers and use Google Hangouts to meet virtually. 3. Your best teacher: Your students will always be your best teachers so listen to what they say and don’t say. Observe their behaviors and reactions and take the time to think about how you can learn from their failures and success. You can create a survey to give your students mid semester in which you ask them questions such as “What do you like best?” or “What is an area in which I can improve”. After I surveyed my students I was surprised to find out students felt I talk to fast. Once I made it a point to slow down and check for student understanding I was amazed to see how many students showed improvement. We are not perfect and as a teacher it can be difficult to step outside ourselves and think about what the students’ perceive. 5. Stay connected to your personal practice: Your personal practice defines you as a teacher. Often when you begin teaching you become so overwhelmed with mandates and directives that your practice fades. Take the time to plan a project-based learning activity, technology based lesson or constructivist approach to problem solving. Think about the theories and strategies you learned while in graduate school or student teaching and make a plan to implement them. Invite colleagues, administrators or coaches to observe your practice and provide constructive feedback. Sometimes just having another person in the room with whom you can talk openly with about pedagogy will allow you to reflect in the moment. 6. Technology Tools: With the explosion of social media reflecting can take place on a virtual platform. Critical reflection can take place when you have an opportunity to discuss the goals and purposes of schooling and ASCD Edge provides the opportunity to connect with colleagues and share ideas, concerns or issues relate to topics. Teachers can use tools such as Blogs to share ideas with colleagues or students. In addition, tools such as Survey Monkey can be used to collect data for reflection. 7. Engage in Action Research: Action Research is one way that teacher can incorporate data into their reflection. Data is used to determine what effect teaching practices have on student achievement. Teachers select an aspect of their own practice and conduct an in-depth inquiry. Research is used to examine previous studies and significant findings. From this approach teachers decide what action to take, how they will implement their actions and then evaluate how the actions impact student learning. Reflective teaching is key to professional growth in teaching and it begins by looking at what you do in the classroom. We can explore our practices and beliefs when we take the time to record what is happening and evaluate what this information means. In “How We Think”, Dewey (1933) defined reflective thought as the “active, persistent, and careful consideration of any belief or supposed form of knowledge in the light of the grounds that support it and the further conclusion to which it tends” (p.9) Without evidence our beliefs and our assumptions will cause us to think in a way that protects our ego. Akbari (2007) states, "Teachers' personality, and more specifically their affective make up, can influence their tendency to get involved in reflection and will affect their reaction to their to their own image resulting from reflection" Reflection is a tool to self-assess your practice. 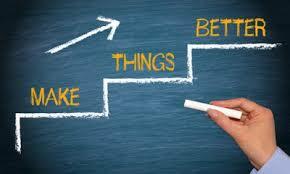 Once you have collected this information, plan a course of action so that you can implement change. You might decide to find more research on an area where you need improvement, attend a conference, or read magazines or books related to the topic for which you are seeking information. Once you begin to implement changes be sure you take the time to reflect once again. Reflection is a continuous cycle that begins once you develop the habit of mind to think about your practice. In the Courage to Teach" We teach who we are, so who are we? What is your plan for growing as a professional in the three paths: intellectual, emotional and spiritual? As a professional, I know that in order to grow I would have to collaborate with peers and other teachers. Intellectually, I have to admit that I don't know everything. Therefore, I should allow myself to make mistakes, learn from them and work it out. Emotionally, I can't go around thinking I can save the world. As long as I do my small piece, then I should rest assure that I did my part. Finally, for spiritual, I need to know that there are influences out there that I can't control. 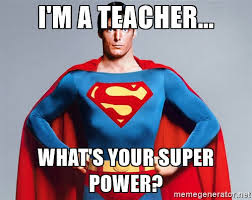 I can control what is in my classroom, but the forces and influences that affect my students are stronger. I have to know that at times, I won't be able to battle these wars. Hi Carlos, I enjoy reading your post. I think that it is easy to get attached to our students and want the best for them, but as you stated sometimes we need to let go with love and realize that our students need to learn from their mistakes. Part of the beauty of this profession is that learning is a lifetime process and it sounds as though you have acknowledge that in your post. Earlier in our discussion we talked about the importance of joining professional organizations and being part of professional development. Are their any organizations you would like to join? As a fairly young professional, my number one area of growth is intellectual growth. I have a lot of common sense and know how, but I will work to review/restudy aspects of the math I teach in order to create different approaches to them. Because I am a visual learner, visual teaching comes easily to me. With more research, I will help the students who need more kinesthetic approaches. I feel quite secure in my emotional and spiritual paths. I connect emotionally with my students and strive to find out why they succeed and struggle. I plan to continue to connect with my students, even at times when I feel that they are/do not connect to me. My spiritual cup is overflowing with positivity and possibilities. I gain strength from prior experiences to help guide me day to day, especially on THOSE days that seem that everything can go wrong. One such experience I tell my students every Halloween is of the story that changed my life. Six years ago last Halloween, I was hit by a car as a pedestrian, both of my legs were broken, pelvis and neck fractured. This event occurred the Halloween post master’s degree and the day before I was to substitute at my current school. Instead of showing up at work the next day, I had several surgeries, a full leg cast and knee brace, and I was placed in a hospital bed in my parents’ house for 3 and a half months. Because of this life changing event and the physical therapy which followed (that taught me how to walk again), it became clear to me that our life is not everlasting; what we choose to do with our life will change the lives of everyone in it; and that complaining and giving up will not lead to success of any amount. I plan to use my strength in spirituality to positively affect each student that is steered my way. Wow what a life changing experience. I can't imagine what you went through but it sounds like you are stronger, wiser and spiritually connected. That is a gift.